The University of Aberdeen was founded in 1495, and is Scotland’s third oldest university and the fifth oldest in the UK. Teaching is organised in three colleges: College of Life Sciences & Medicine, College of Physical Sciences, and College of Arts and Social Sciences. The Libraries have over a million volumes, priceless historic material, and seven museum collections recognised as nationally important. There are over 150 sports clubs and societies, and the Olympic-standard Aberdeen Sports Village which opened summer 2009. 97% graduates enter directly into work, further study or training within 6 months. It was Aberdeen physicists and clinicians who were first in the world to scan a patient’s body using MRI. 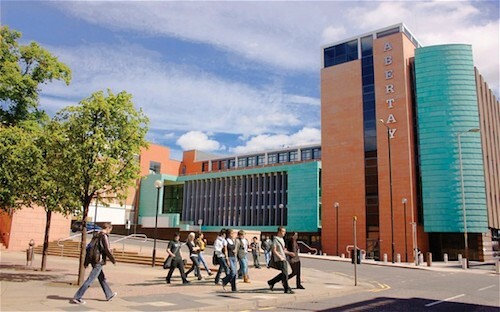 Abertay was founded in 1888. 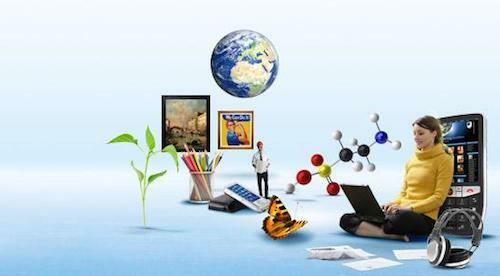 It offers world-leading courses in Computer Arts and Computer Games Technology. The University has a state-of-the-art library, fully networked for the digital age with over 1200 personal computers available for student use – one of the highest proportions in the UK. Abertay is ranked as the best university in Scotland for its environmental research and the only modern university, rated as excellent for its teaching of Economics. Over 60 nationalities are represented in Abertays student community. 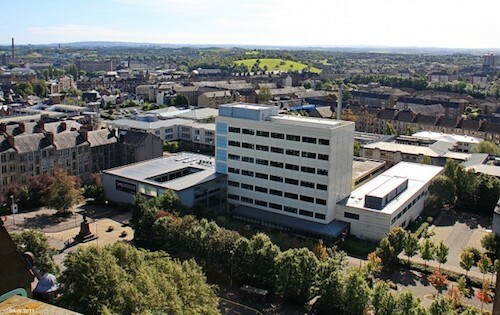 Abertay has 5,084 students, with 4,476 based on the Dundee campus. 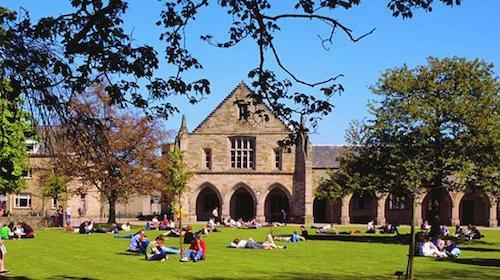 The University’s origins date back to 1881 when University College, Dundee was founded. Dundee became an independent University in 1967 following a 70 year relationship with the University of St Andrews. The School of Dentistry is ranked top in Scotland and second in the UK for teaching excellence in the Guardian’s University Guide for 2011. 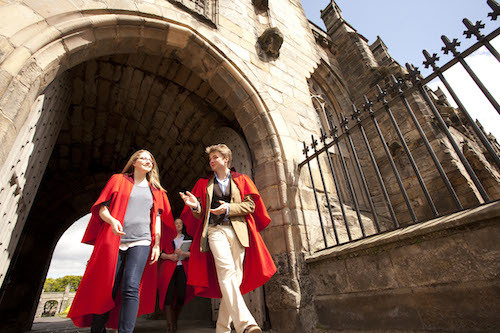 Dundee is voted number one in the UK in Times Higher Education 2011-12 Student Experience Survey. The University is home to more than 17,000 students and more than 3,000 staff. Awarded the Queen’s Anniversary Prize 2005 for work in drug discovery and development. Two of the world’s most cited biochemists are based at the University of Dundee – Professor Sir Philip Cohen and Professor Dario Allessi. The University is the first approved Cancer Research UK Centre in Scotland. 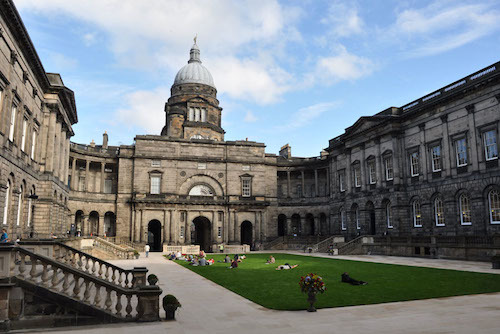 Founded in 1583, the University of Edinburgh has, for more than 400 years, been one of the most influential centres of knowledge in the world. The university played an important role in leading Edinburgh to its reputation as a chief intellectual centre during the Age of Enlightenment, and helped give the city the nickname of the Athens of the north. Over 600 first degree programmes and more than 140 taught Masters programmes. Inventions linked to Edinburgh include the thesaurus, the TB vaccination, the microchips that power iPod music players and Dolly the Sheep, the world’s first cloned animal. Napier Technical College opened in 1964 and was renamed Napier College of Science and Technology in 1966. In 2009 it became Edinburgh Napier University. 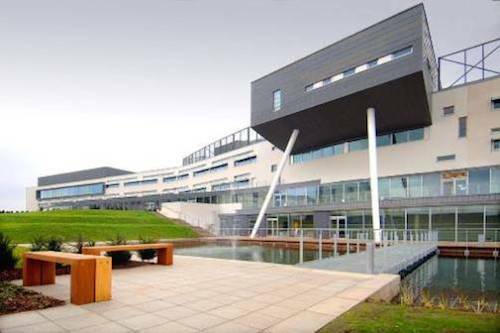 Edinburgh Napier University is one of the largest higher education institutions in Scotland with almost 18,000 students from 109 countries on campus. Academically the University is organised into three faculties: the Business School; Engineering, Computing & Creative Industries; and Health, Life & Social Sciences. 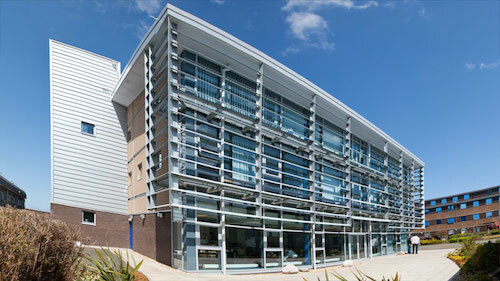 The University’s Building Performance Centre was awarded the Queen’s Anniversary Prize 2009 for Higher and Further Education for ‘Innovative housing construction for environmental benefit and quality of life’. The University of Glasgow was established in 1451 and includes among its alumni, the father of economics Adam Smith, Scotland’s architect of devolution Donald Dewar and renowned physicist and engineer Lord Kelvin. The University of Glasgow is in the top 1% of the world’s universities and is in the UK’s top 10 earners for research with annual research grants and contracts income totalling more than £128m. It welcomes students from 120 countries worldwide and has more than 23,000 undergraduate and postgraduate students with around 6,000 staff. 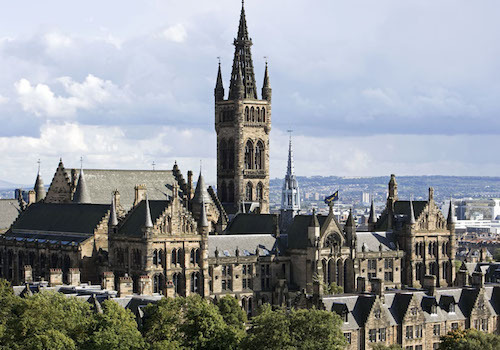 The University of Glasgow is a member of the prestigious Russell Group of leading UK research universities and is a founder member of Universitas 21, an international grouping of universities dedicated to setting worldwide standards for higher education. 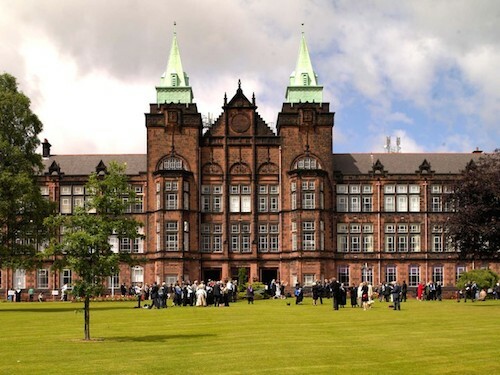 The university was constituted by an Act of Parliament on 1 April 1993 as a result of a merger between Glasgow Polytechnic and The Queen’s College, Glasgow. The aim of the new university was to offer non-elitist, high quality education and training to a wide and diverse range of students. 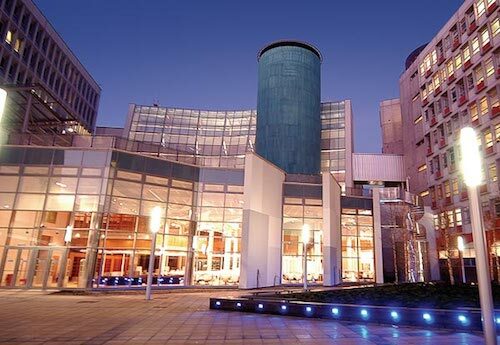 Glasgow Caledonian University has become one of the largest universities in Scotland with nearly 17,000 students. 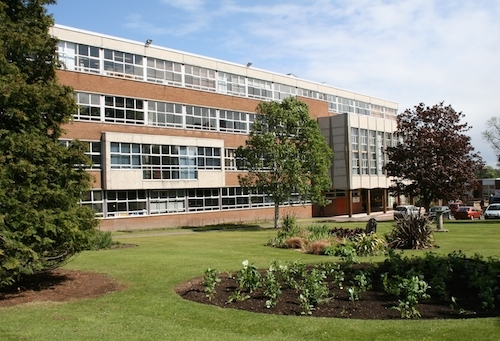 The campus is self–contained and situated right in the heart of the lively city of Glasgow. Glasgow Caledonian University have succeeded in building up strong links with industry over the years and many of the companies they deal with are world leaders in their field. Not only do these companies employ the graduates and take student placements, they also work closely with the university on research and consultancy projects and have a strong input into the design and structure of the programmes. The Glasgow School of Art was founded in 1845 as the Government School of Design, as a centre of creativity promoting good design for the manufacturing industries. Its role has continually evolved and redefined to reflect the needs of the communities we are part of, embracing in the late 19th century fine art and architecture education and today, digital technology. The GSA is internationally recognised as one of Europe’s foremost higher education institutions for creative education and research in fine art, design and architecture. Undergraduate students study within 10 specialist fine art, design or digital departments or within the internationally renowned Mackintosh School of Architecture. Undergraduate students make up the largest part of the student community. The School of Architecture is highly rated by the architecture profession and ranked the top school in Scotland and top five in the UK by the Architects’ Journal and the School of Design has been described by Design Week as “leaders in design education”. The school has produced most of Scotland’s leading contemporary artists including, since 2005, 30% of Turner Prize nominees and three recent Turner Prize winners. 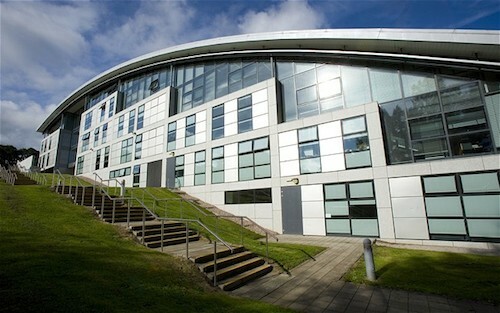 With a history dating back to 1821, Heriot-Watt University has established a reputation for world-class teaching and practical, leading-edge research, which has made them one of the top UK universities for business and industry. 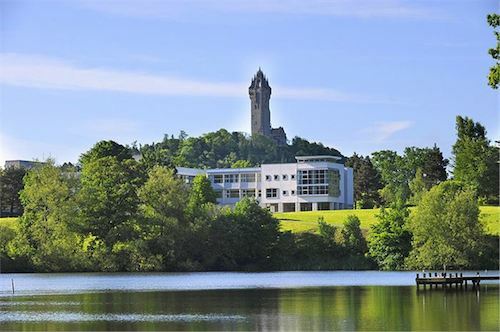 Heriot-Watt University is renowned for its leadership on critical global issues and is recognised throughout the world for the quality of its teaching and applied research capability. The University delivers degree programmes to 11,800 students in 150 countries around the world, and have a campus in Dubai, a new one opening in Malaysia and boast the largest international student cohort in Scotland. Heriot-Watt is recognised internationally as a centre for high calibre research in science, engineering and business. They have been rated as a leading research institution by the RAE, the national review body, and are now in the top 35 universities in the UK for research. In April 2001, the Scottish Parliament awarded The University of the Highlands and Islands (UHI), Higher Education Institute status, and it now provides university level courses. The UHI is a federation of 13 colleges and research institutions in the Highlands and Islands of Scotland delivering higher education. Its executive office is in Inverness. The University has a number of undergraduate, postgraduate and research programmes, most of which can be studied at a range of locations across the area. In the Faculty of Arts, Humanities and Social Sciences, courses such as Honours programmes in Gaelic, BA (Hons) Theological Studies, BA (Hons) Scottish History and BA (Hons) Scottish Cultural Studies all reflect the distinctive nature of the region, its past, present and future. The Faculty of Business and Leisure offers distinctive programmes in Golf Management, which is Scotland’s only degree of this kind. The Open University took its first 24,000 students in 1971. Since then, more than 1.6 million people have taken an Open University course. The Open University is a world leader in modern distance learning, the pioneer of teaching and learning methods which enable people to achieve their career and life goals studying at times and in places to suit them. The OU’s mission is to be open to people, places, methods and ideas. The OU is the biggest university in the UK with more than 260,000 students, close to 7,000 tutors, more than 1,200 full-time academic staff and more than 3,500 support and administrative staff. The Open University students come from the widest possible range of backgrounds, including students in their teens to those in their 90s and all ages in between. They are the largest provider of higher education for people with disabilities and are opening up opportunities for lower-income groups. Up to 44 per cent of our UK student population starts undergraduate study without the entry qualifications they would need at a conventional university and around 70% of students remain in work while studying. Founded in 1875, the institution has always been driven by the highest ideals and purposes, focusing on contributing in practical ways to improving the quality of human life and serving the community. 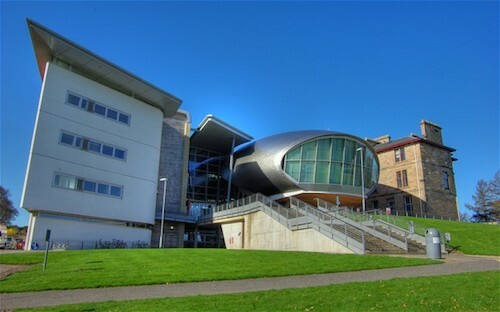 In January 2007, Queen Margaret was granted full university title, resulting in a change of name from ‘Queen Margaret University College’ to ‘Queen Margaret University’ and confirming the institution’s long established position as a university level institution. Its research is focused on making a real practical impact on everyday life, and courses are designed to produce well prepared, well rounded and flexible graduates. Queen Margaret University commitment to internationalisation goes back more than twenty years, beginning with the training of nurses from low income countries such as Bangladesh. From these foundations, they established the Institute for International Health and Development which is the one of the UK’s longest established centres focused on the social determinants of health in middle-income and resource-poor settings. In 2008 they became the first British university to open a campus in Singapore, and in 2011 they became the first university to offer UK degrees taught fully in Nepal. In 1729 Robert Gordon founded the Robert Gordon’s Hospital to the young sons and grandsons of Burgesses of the Guild who were too poor to maintain them at school. In 1881, the Robert Gordon’s Hospital is transformed into Robert Gordon’s College and then in 1992 it was awarded university status. Robert Gordon University provides diverse and exciting range of degree programmes are taught in state-of-the-art facilities by specialists who maintain close links with the world of work. The majority of courses enable part-time study, with an increasing number also available via distance learning through the University’s online learning environment, CampusMoodle. Statistics from HESA (Higher Education Statistics Agency) released on 5 July 2012 show that 97.1% of students graduating from Robert Gordon University with their first degree in 2010/11 were in employment or undertaking further study. The figures compare favourably with the average for Scottish and UK universities which were 93% and 90% respectively. Founded in 1845 as the Glasgow Educational Association, it is the busiest performing arts venue in Scotland. 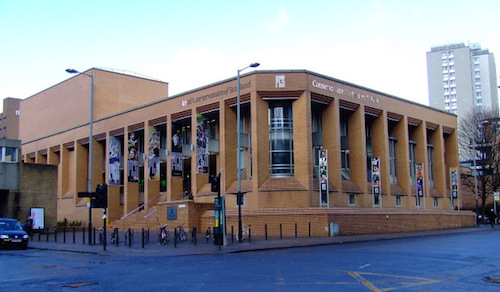 It is a conservatoire of music, drama, and dance in the centre of Glasgow. From 1 September 2011, the RSAMD was renamed the Royal Conservatoire of Scotland. 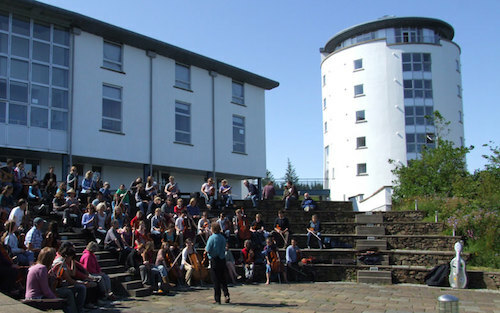 The Royal Conservatoire of Scotland is at the forefront of the redefinition of conservatoire education for the 21st century. They provide specialized vocational education to professional standards across dance, drama, music, production, and screen. Across all these specialisms, they currently have around 800 students on degree programmes. Research degrees undertaken at RSAMD are validated and awarded by the University of St Andrews in Fife. RSAMD is a member of the Associated Board of the Royal Schools of Music. Scotland’s Rural University College (SRUC)Elmwood College has merged with Barony College, Oatridge College and Scottish Agricultural College to form Scotland’s Rural College – ‘SRUC’. SRUC exists to deliver comprehensive skills, education and business support for Scotland’s land-based industries, founded on world class and sector-leading research, education and consultancy. Elmwood College has merged with Barony College, Oatridge College and Scottish Agricultural College to form Scotland’s Rural College – ‘SRUC’. SRUC exists to deliver comprehensive skills, education and business support for Scotland’s land-based industries, founded on world class and sector-leading research, education and consultancy. St Andrews is Scotland’s first university and the third oldest in the English speaking world, founded in 1413. Over six centuries it has established a reputation as one of Europe’s leading and most distinctive centres for teaching and research. St Andrews University is now one of Europe’s most research intensive seats of learning – over a quarter of its turnover comes from research grants and contracts. It is one of the top rated universities in Europe for research, teaching quality and student satisfaction and is consistently ranked among the UK’s top five in leading independent league tables produced by The Times, The Guardian and the Sunday Times. The University is divided into four Faculties: Arts, Divinity, Medicine & Science. Celebrating its 600th anniversary in 2013, the University is pursuing a varied programme of capital investment, including a New School of Medicine, the refurbishment of its Main Library, a new Biological Sciences Research Centre and the provision of new student accommodation. 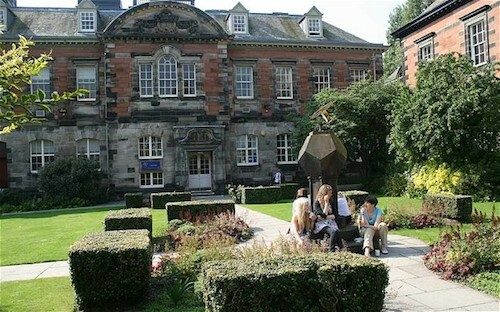 Founded in 1796, the University of Strathclyde is now Scotland’s third largest university with an international reputation and outlook, with students and staff from over 100 countries. The university has developed its reputation and grown from approximately 4,000 full-time students in 1964 to over 20,000 students in 2003. Today, the university is a major educational centre, the largest postgraduate provider in Scotland and one of the largest in the UK (HESA 2006) for post-graduate studies and research, with students from around 90 countries. In the UK RAE (Research Assessment Exercise 2008), published by The Times Higher Education Supplement, it came 8th in the UK for Pharmacy, 12th for Business and management studies, 17th for Chemistry, 13th for Law, 21st for Electrical and Electronic Engineering and 12th for Allied health professions and studies. Notable inventions from the university are that of the world’s first working television, fingerprint identification, water filtration and development and application of wind energy. 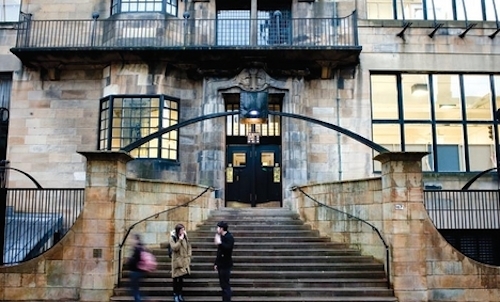 Founded in 1897, UWS is Scotland’s largest modern university. With campuses across the West of Scotland in Ayr, Dumfries, Hamilton and Paisley, the University occupies an integral position within Scotland’s proud tradition of excellence in education. Offering career-focused and vocationally relevant provision, UWS graduates are equipped with the relevant skills to make an immediate contribution to industry, business, public and third sector organisations. Bachelors, Masters and Research degree options, as well as B2B opportunities are available. The 2008 RAE (Research Assessment Exercise) awarded their highest rating possible of ‘World Leading’ six UWS research areas and ‘International Excellent in a further seven.